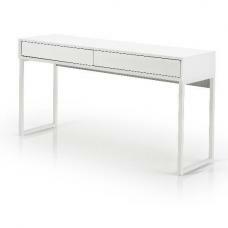 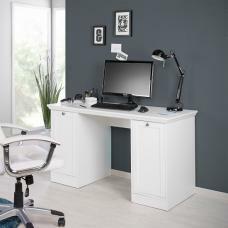 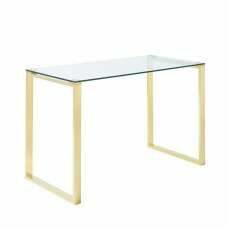 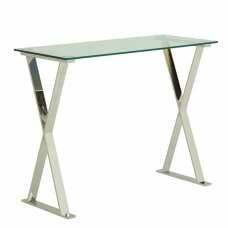 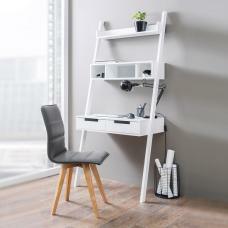 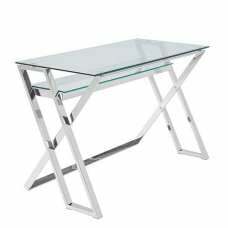 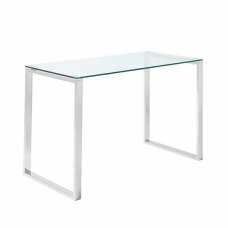 Oxford Corner Desk in Ice White and High Gloss White is a compact home office corner desk but is ideal for laptop use where space is at a premium. 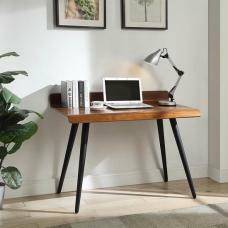 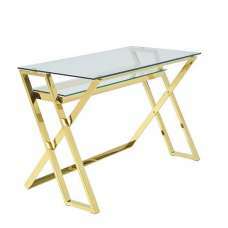 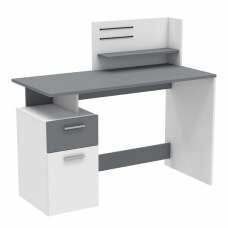 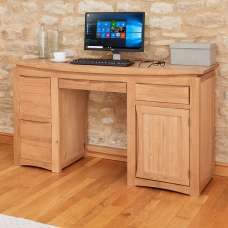 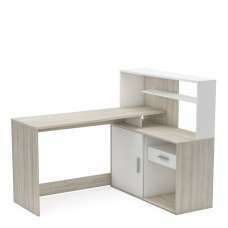 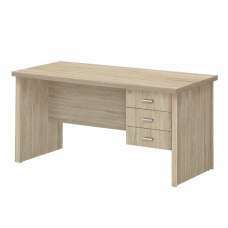 This desk features a wide desktop and an integrated corner storage unit. 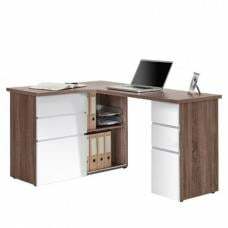 This storage unit has a sliding door to give quick, convenient access to books, files and other items stored inside, and has a large storage space divided into 2 equal halves with adjustable shelves in each side. 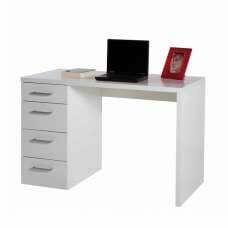 The desktop is supported with a pedestal cupboard styled to appear like a 3-drawer unit but containing an adjustable shelf and the complete desk is raised off the floor on feet. 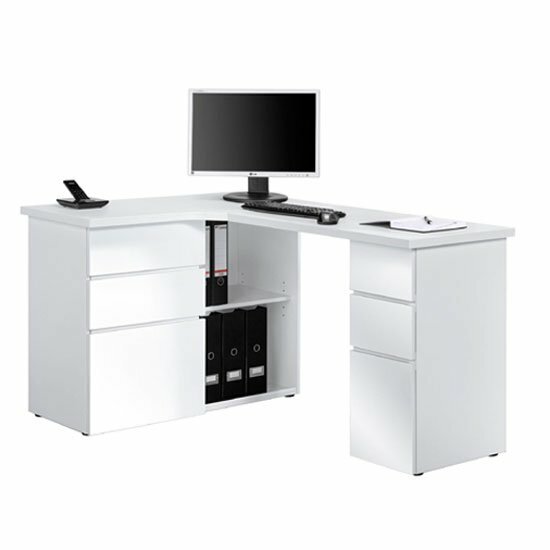 The Oxford Corner Desk is finished in high quality Ice White MFC sourced from FSC sustainable forests and the doors are finished in contrasting High Gloss White.